70% of change management efforts fail. And of those failures, 39% say it’s because of employee resistance. Change is inevitable, but your organization’s failure to manage it doesn’t have to be. 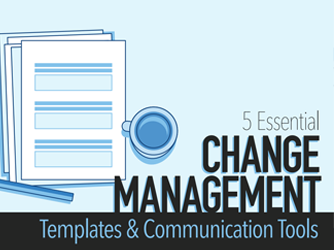 Download these essential change management templates and communication tools to help navigate your next wave of changes. Templates in PDF, Word, and Excel formats!